I hate beating around the bush, so let’s just get to the bottom line. 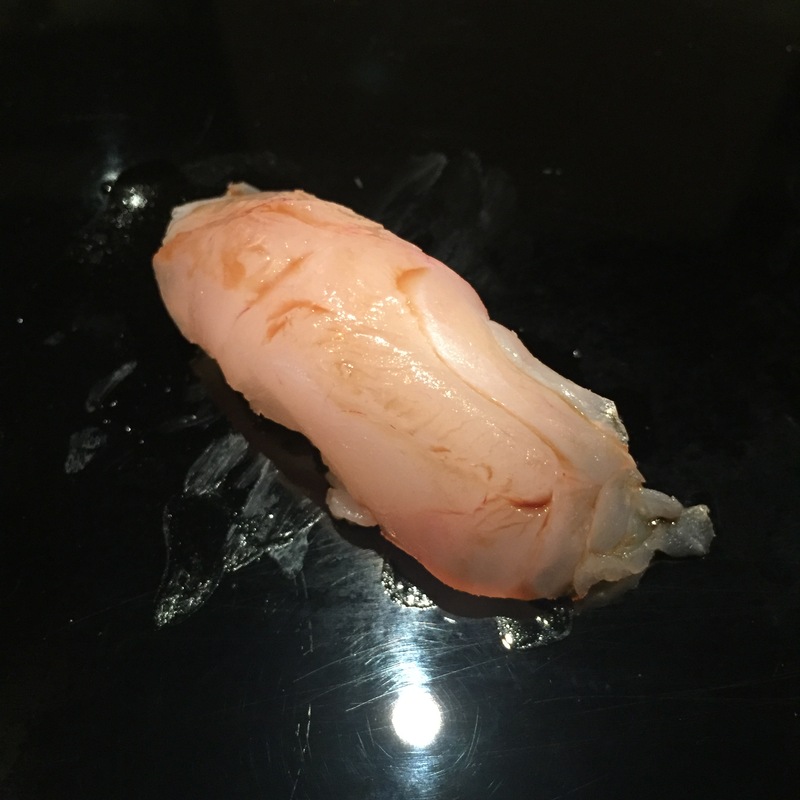 Decent sushi, spectacular value, questionable service, not so great of a time, and several MAJOR gripes. Since all my “pros” are about the food and value, which I will get into while discussing each individual serving, let’s get right into the “cons”. 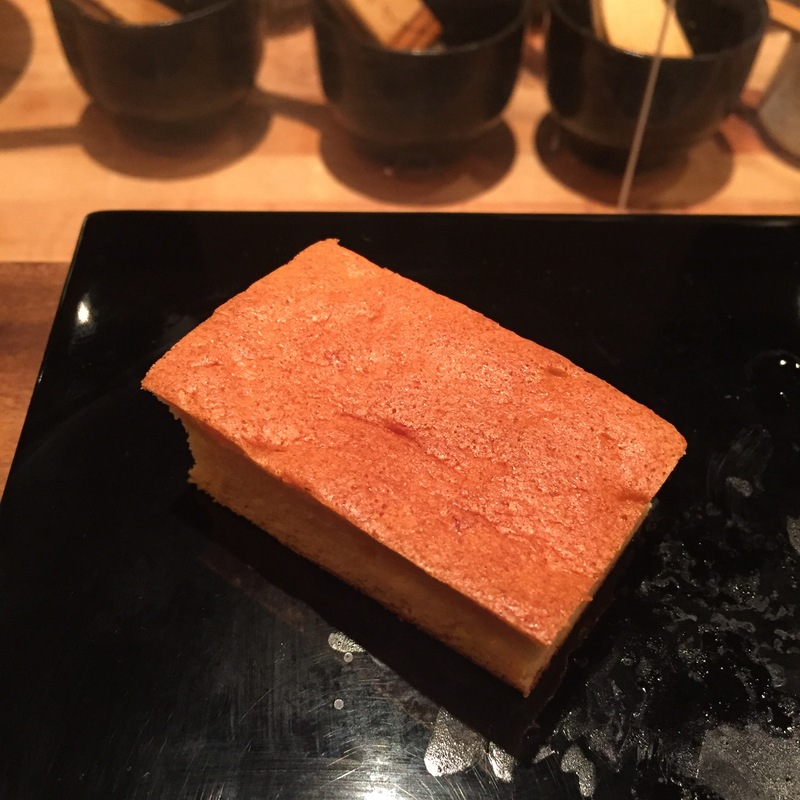 Head Chef non Head Chef – When making reservations, I ALWAYS specifically request for the head chef, such that if not available, I would wait till the next availability. We showed up about 18 min early for our reservation, and was seated with someone other than the head chef. I didn’t realize this till half way into my meal, I would have demanded a correction had I known. That was beyond annoying. Something to hide? I asked the host about the chef that used to work at Jewel Bako. He claims they have NEVER had a chef that was at Jewel Bako. 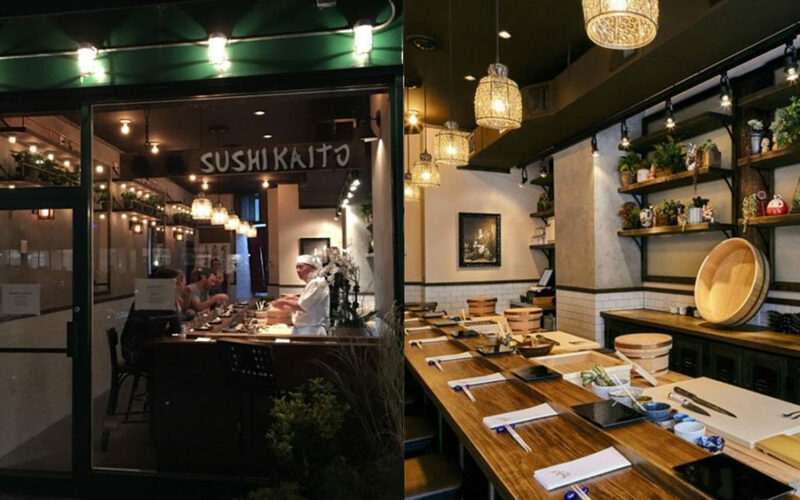 I showed him a photo, and he claimed that chef never worked at Kaito. 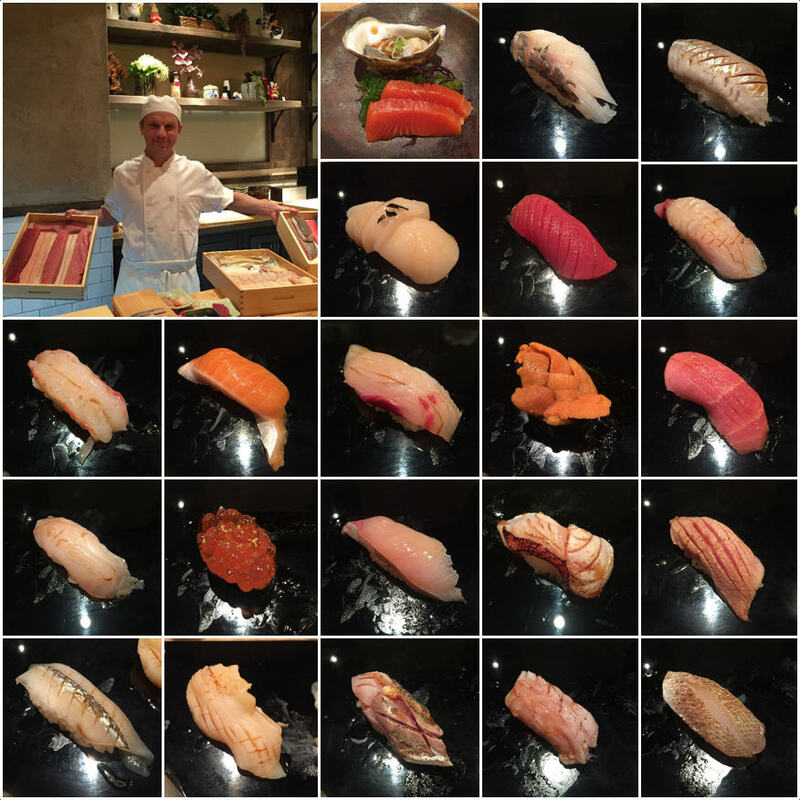 I was irritated, so I looked into the Kaito yelp photos, and found the photo of the chef behind the Kaito sushi counter. CAUGHT! He said he’s not sure. Couldn’t come up with a better story? Really??? Booze – For boozers world-wide, who doesn’t like saving a 50% or more by bringing your own booze? No one! Not unless you didn’t know the restaurant was a BYOB! I get that in this day and age, with all the commentators and review sites, there are a variety of sources for which you can obtain a restaurant’s BYOB status. Well, right before the meal, I went on the restaurants’ own website. Big mistake! NO WHERE on the website does it say no alcohol or BYOB! WTF! Not cool! Nearest liquor store was a solid 3 blocks away. Thank goodness we were super early, so Boyfriend had the time to make the hike. Upon returning with 2 full sized bottles, our booze-nightmare resumes. We politely asked the host if he could keep one of the bottles in the fridge till we are ready to consume. He gave us such a hard time. He finally understood that we intend to drink BOTH bottles during the meal, and reluctantly took the second bottle to the fridge. However, he did insist that we keep the first bottle under the counter. WHAT??? Why??? Ugh – I can’t talk about this anymore, makes my blood boil. Service OTHER than the host – Although the host was a royal pain in the you-know-what, the only other waitress, I believe her name was Maiko, and our chef Greg, from Sag Harbor, Long Island, and prior to that Orlando, and prior to that San Francisco, were both plenty pleasant. 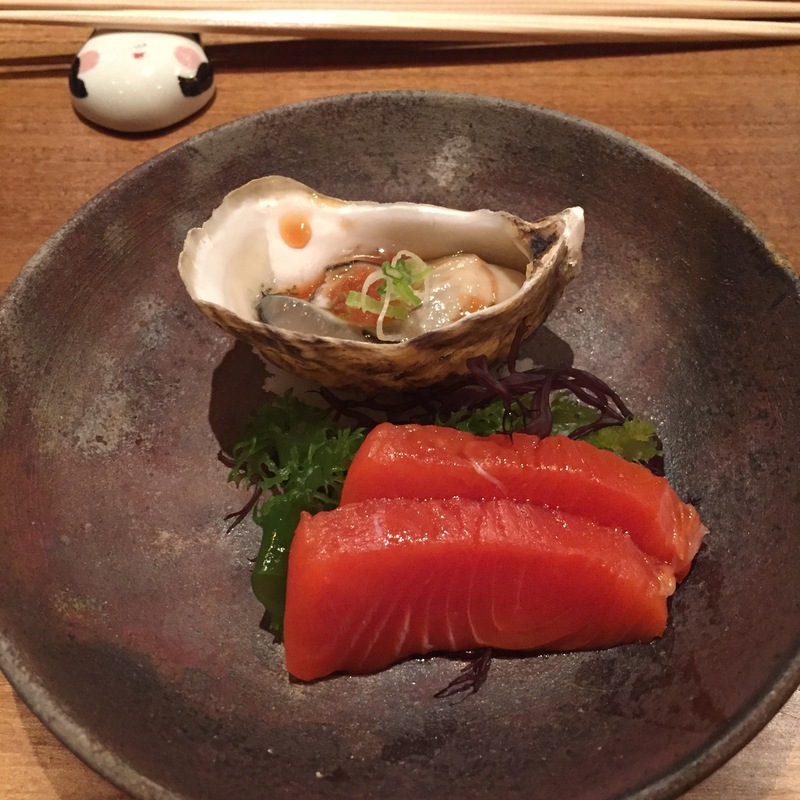 Shigoku Oyster and Sockeye Salmon (Starter) – The Washington Shigoku was small, but perfectly sweet, perfectly good. 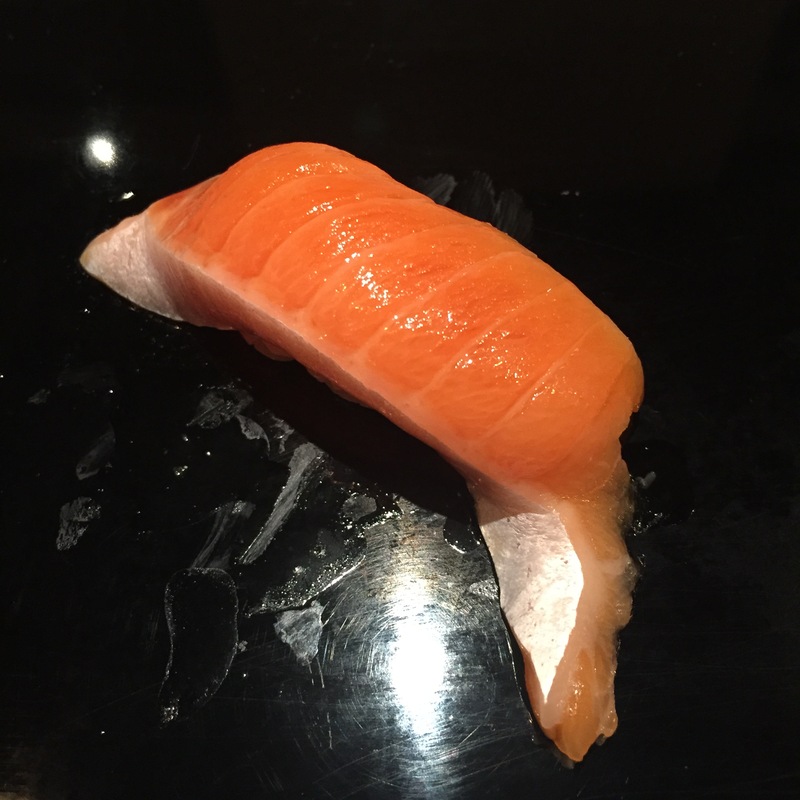 I’m not a fan of sockeye salmon, so this serving for me was just ok, I mean, at least they didn’t do that funky thing that AZABU does, and smoke it! 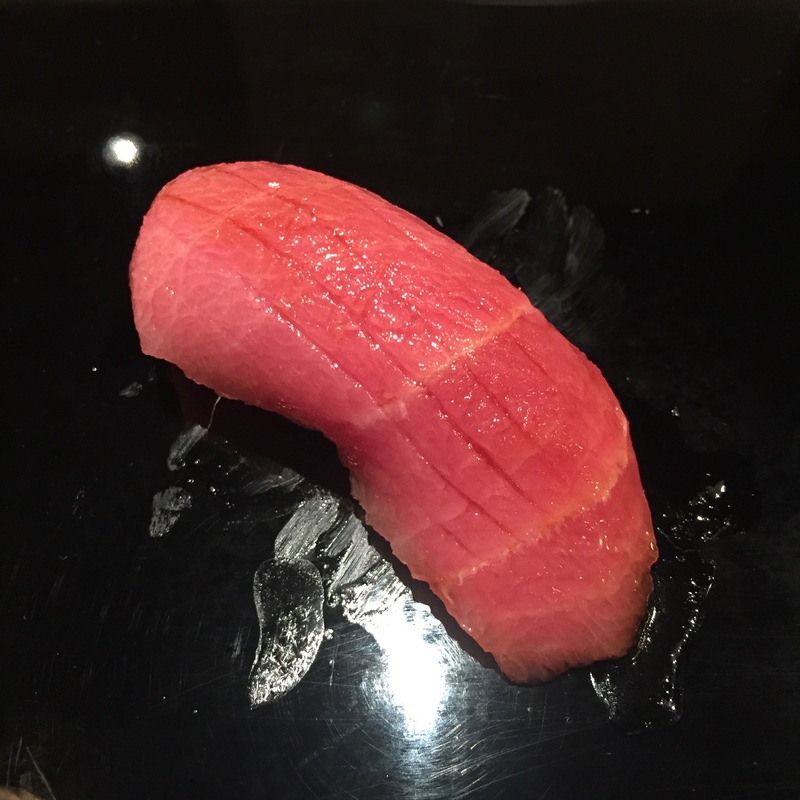 AKAMI (lean Bluefin tuna, from Spain) – GREAT! This was a really great cut, super clean taste, no funky aftertaste. I really enjoyed this serving. 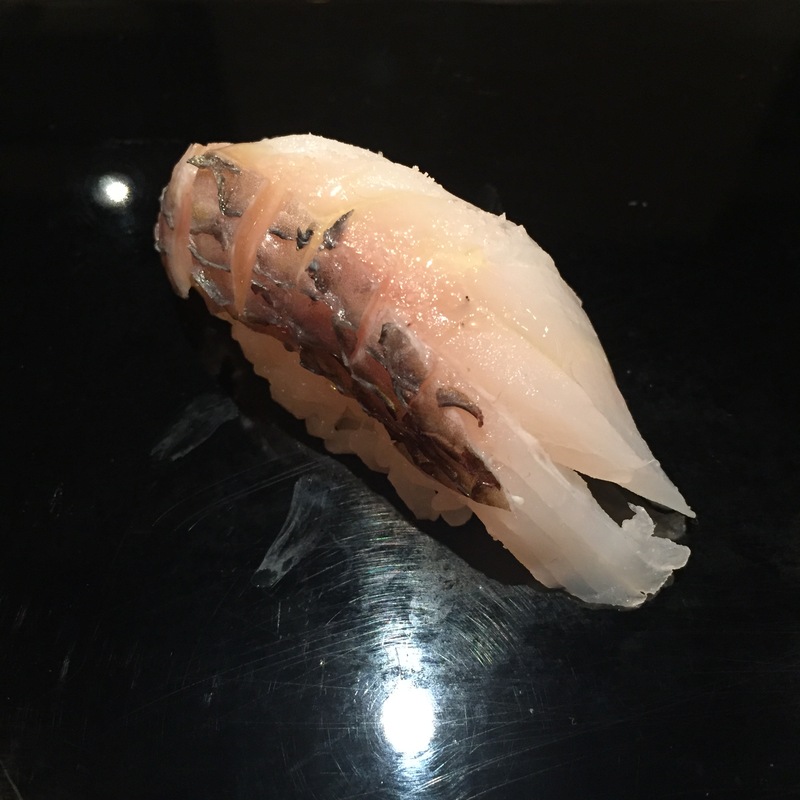 SAWARA (Mackerel) – This SAWARA from Montauk was significantly lighter than normal SAWARAs, but still decent amount of natural oils. Very tasty! ARCTIC CHAR – Incredibly fatty! Just the way I like my salmon! Farm raised thus FULL of fat! Thoroughly enjoyable! 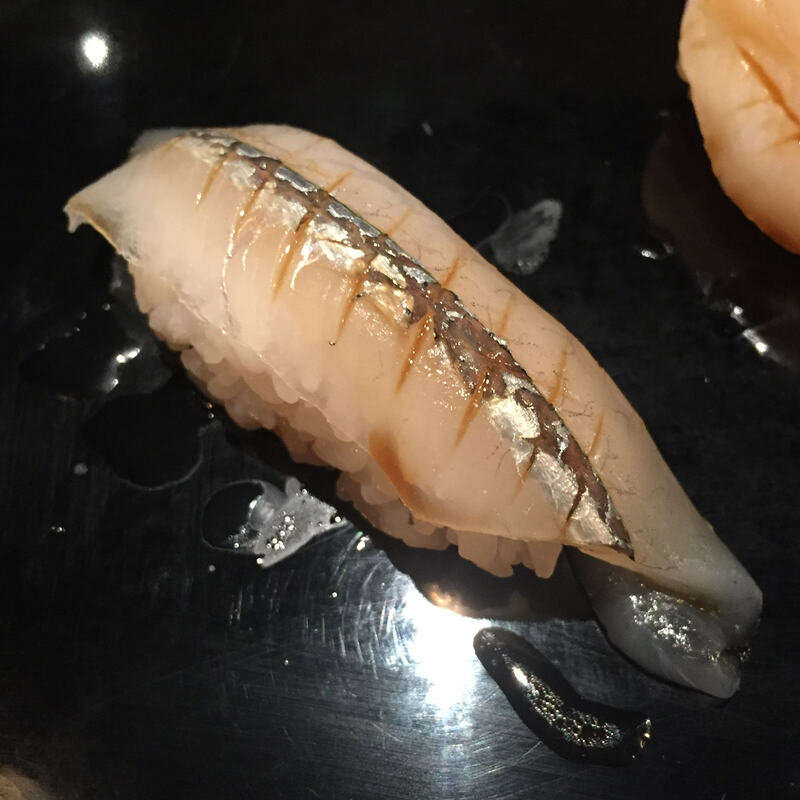 SHIMA AJI (Striped Jack) – Dressed with nothing but soy, this was a respectable cut of SHIMA AJI, but nothing I would seek out, or order twice. 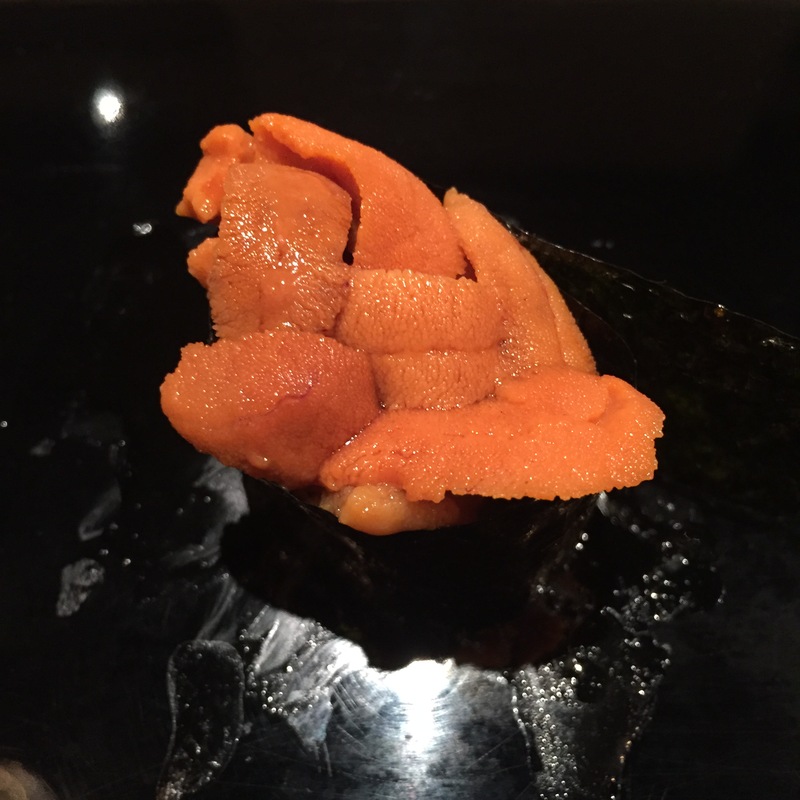 Hokkaido UNI – Isn’t the placement of the UNIs real pretty? 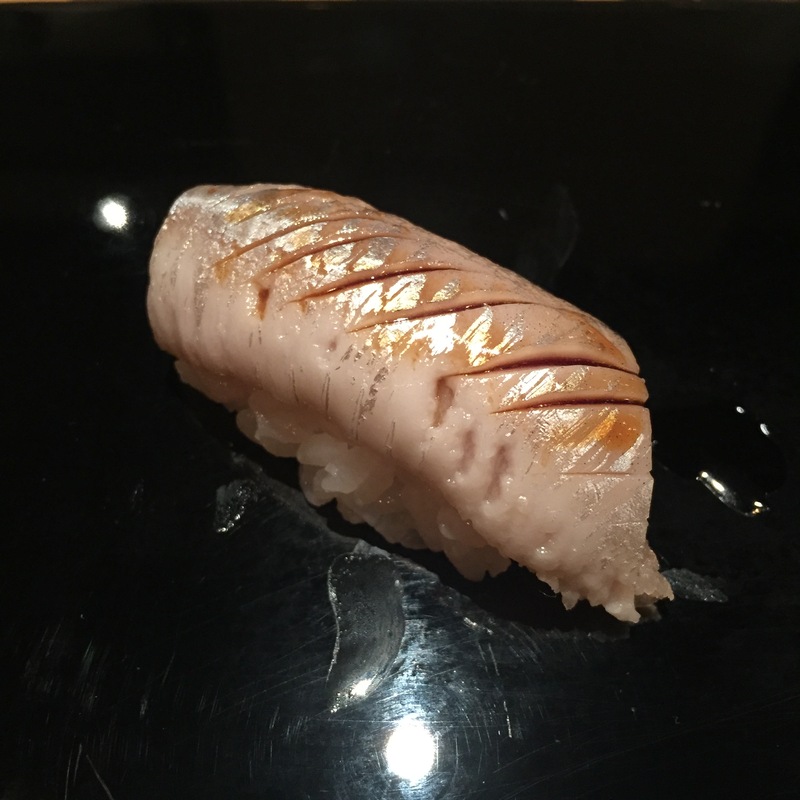 Placement aside, the UNI was good, same as the SHIMA AJI, nothing out of this world, but good. 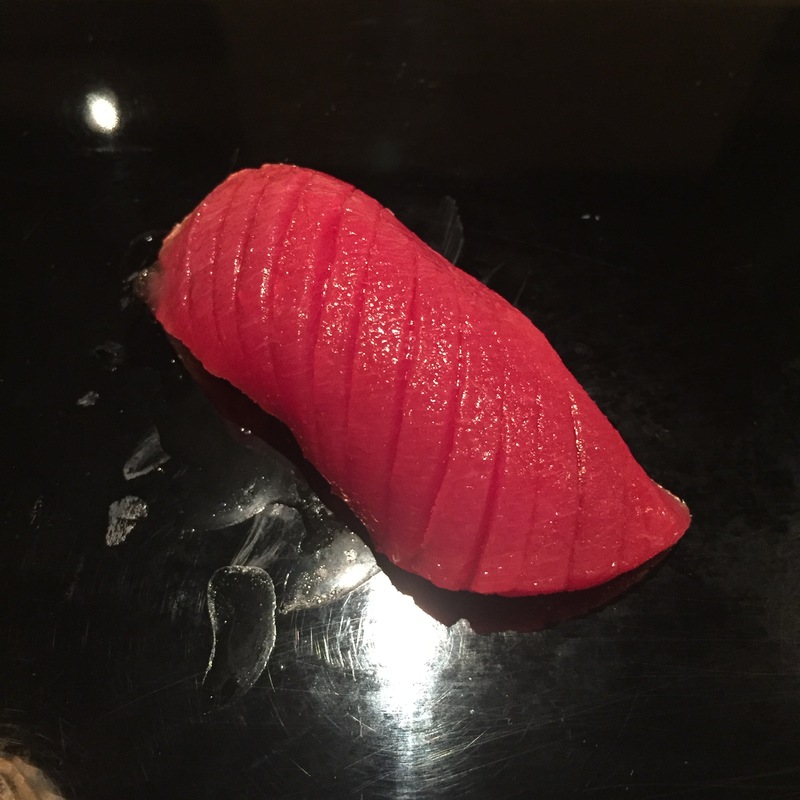 OTORO (Super Fatty Tuna) from Spain – Incredible! So it’s safe to say, Kaito takes their Tunas seriously. 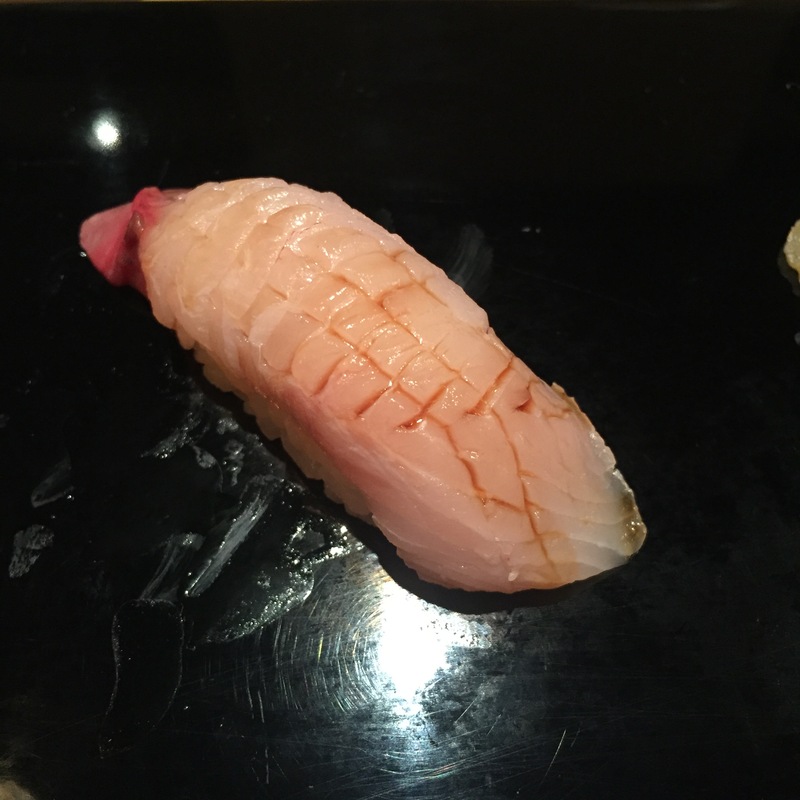 Both the AKAMI and the OTORO were both a superb quality cut. Delicious! 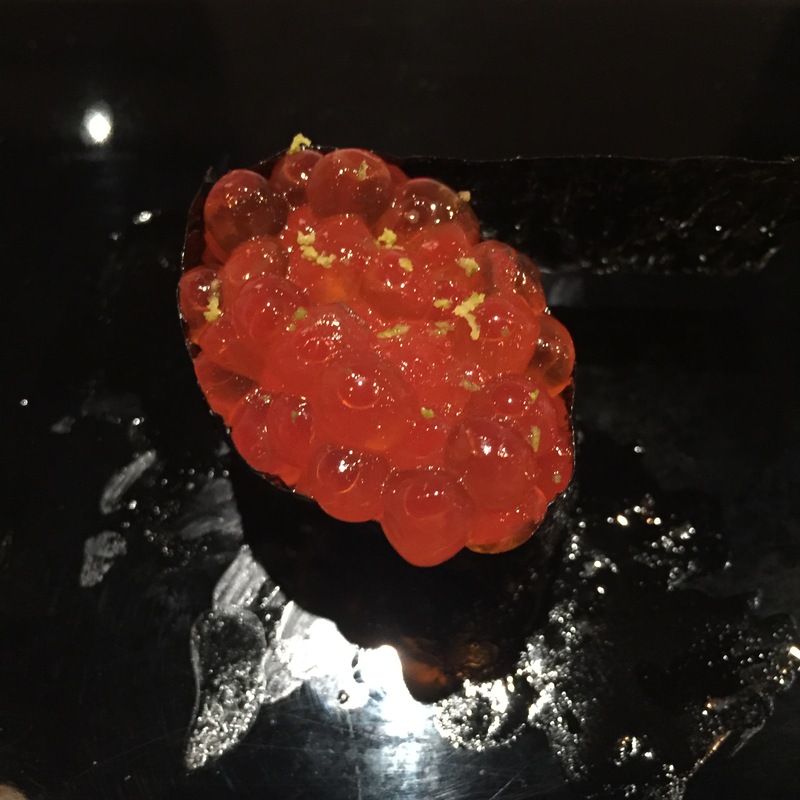 IKURA (Salmon eggs) – Decent! 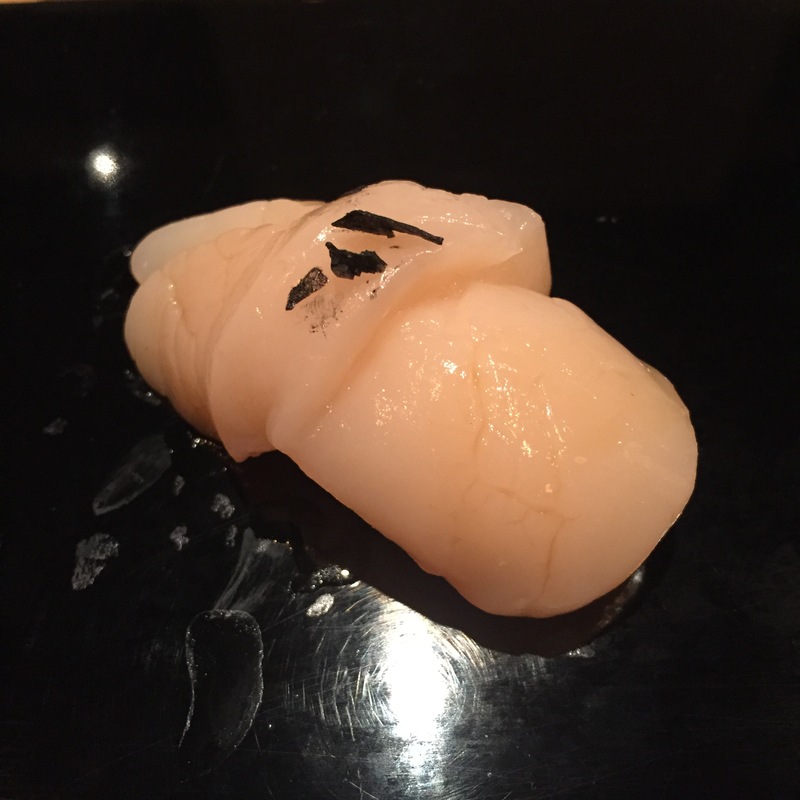 Nice big, uncrushed pearls, decent seasoning, and the yuzu zest added a nice brightness! 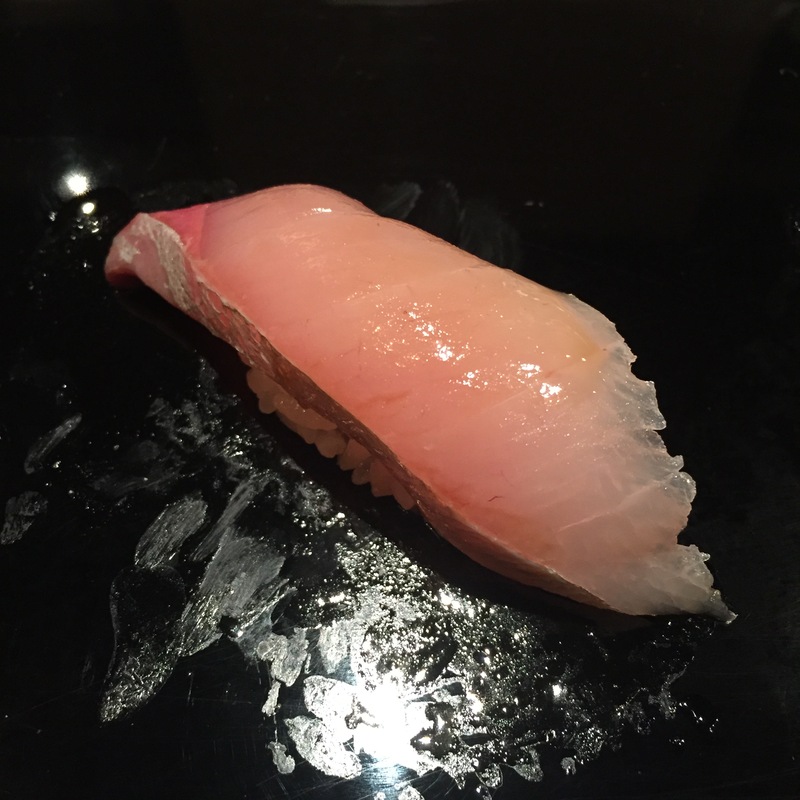 KAMPACHI (Amberjack) – Served with what looks like jalapeño sauce, but chef Greg called “fermented lime Zest”. Nice kick but fish didn’t crunch didn’t sparkle. 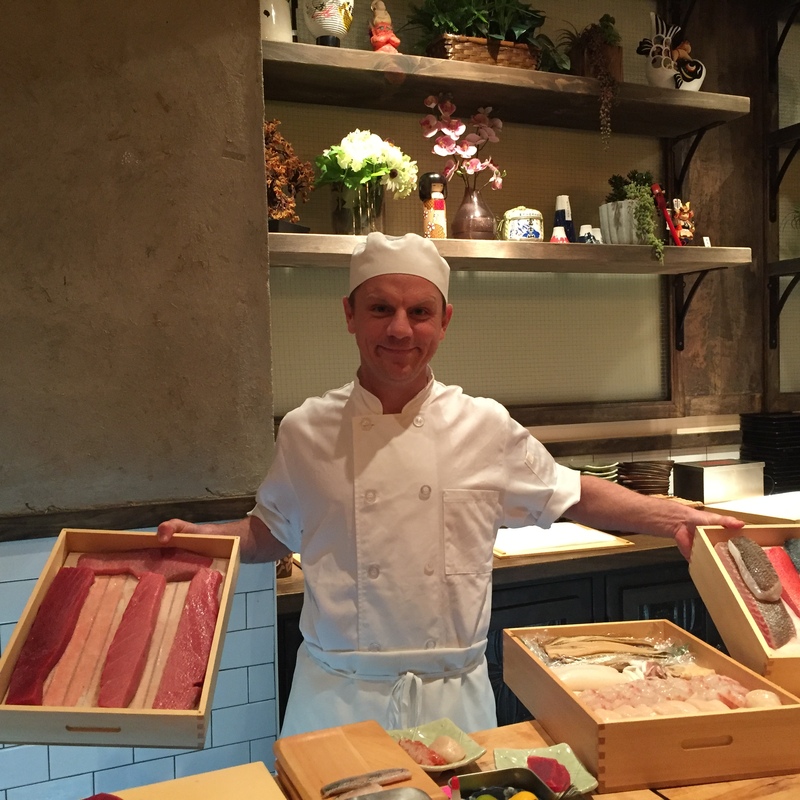 KINMEDAI (Golden Eye Snapper) – Chef Greg agrees, KINMEDAIs is definitely the fan favorite. Though it is prepared exactly as I like, ABURIed (torched) and with a tad bit of soy, this particular cut was not at all special. 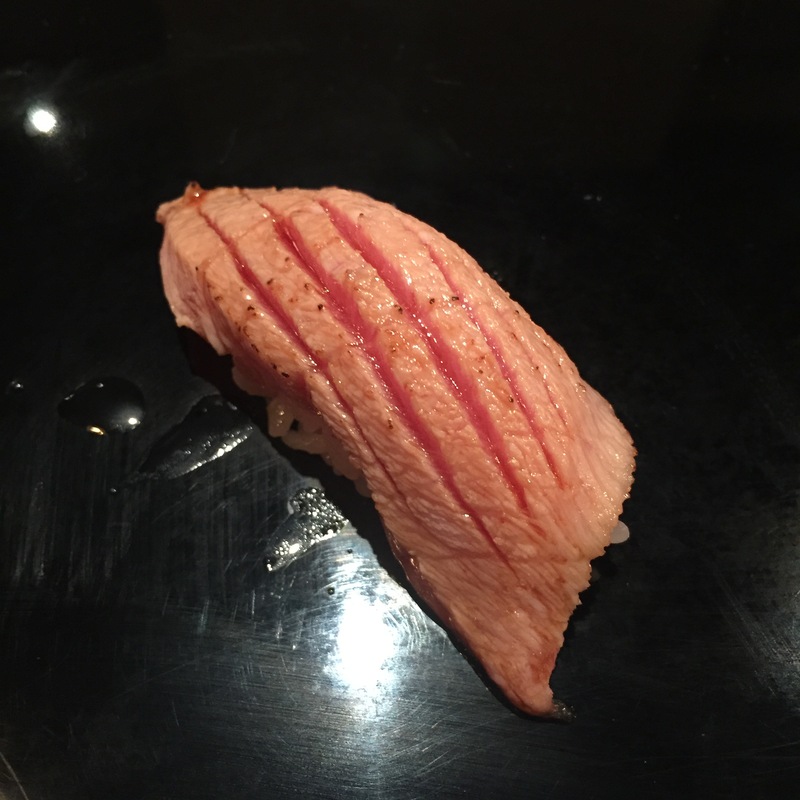 OTORO (Aburied) – Served scored, slightly ABURIed, and topped with soy. It is clear that Kaito definitely does the Tuna well, everything else, though good enough, or good, nothing was all that special. 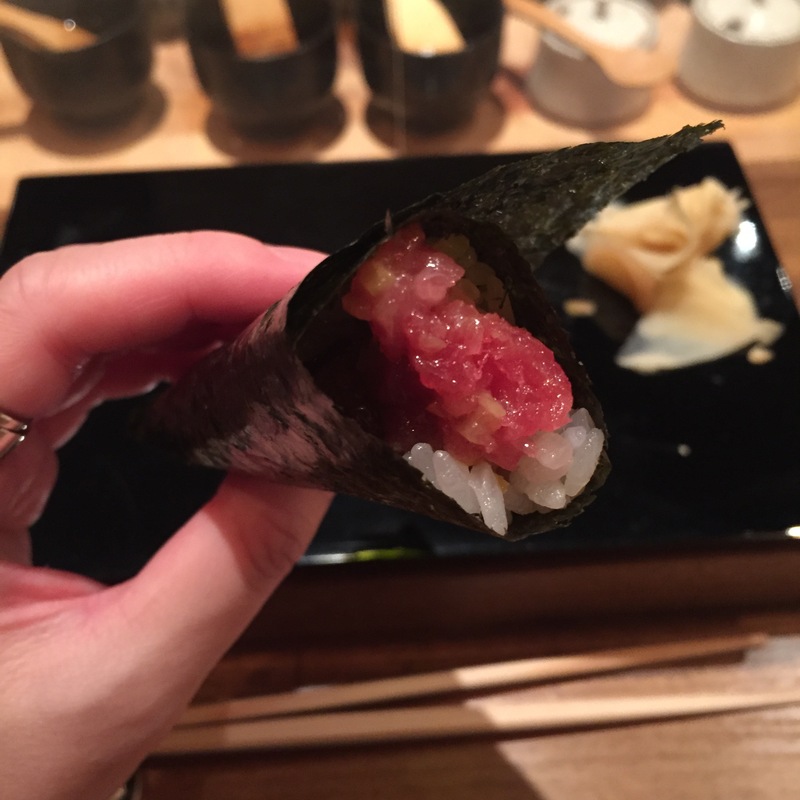 TORO TAKUAN Handroll – Just like all other Tuna servings, VERY nice! 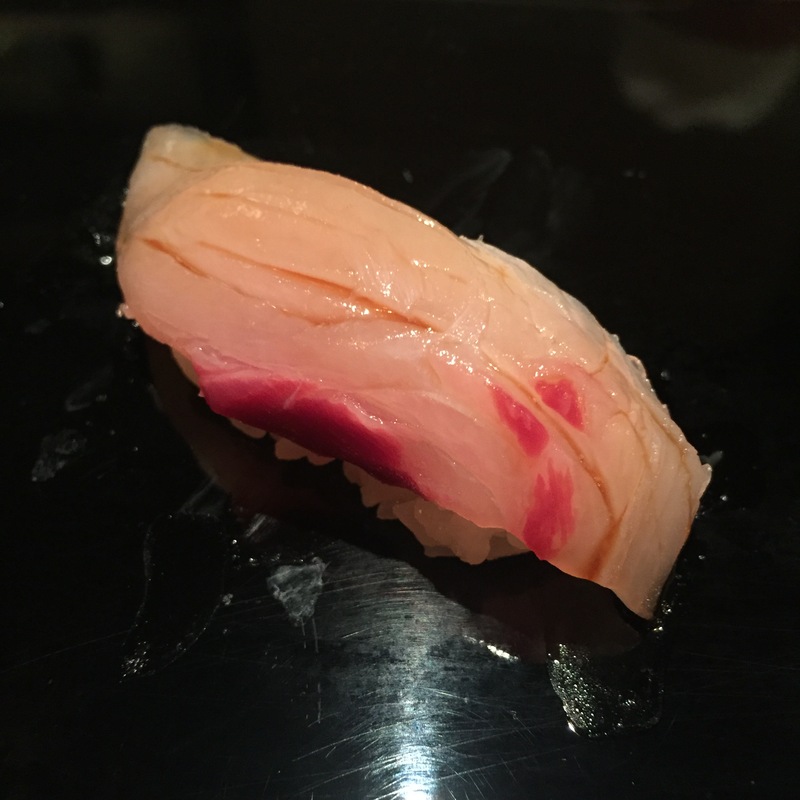 SAYORI (Needle fish) – So pretty! 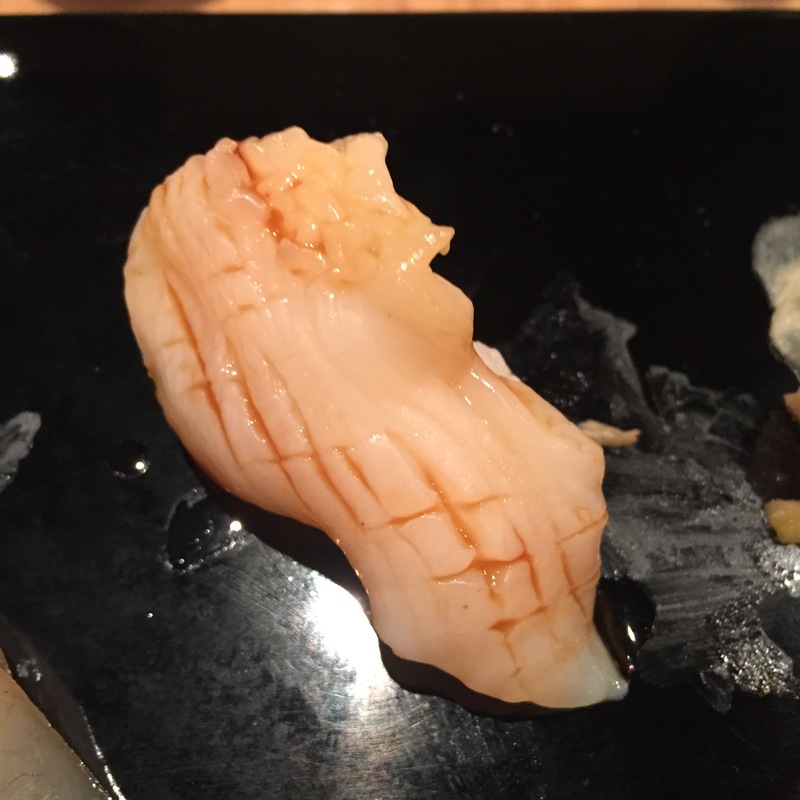 Great SAYORIs have a crunchy texture, and carries almost no fishiness. This was a good SAYORI, but nowhere close to the “great” category. 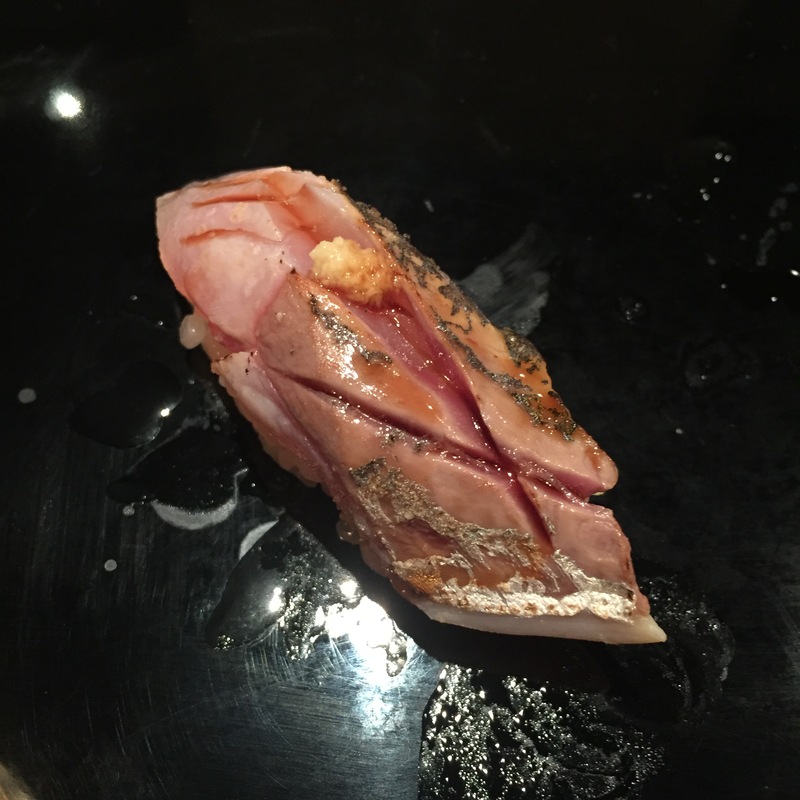 AJI (Japanese Horse Mackerel) – My first time being served and AJI ABURIed! And guess what? I like it! Who would have thought? 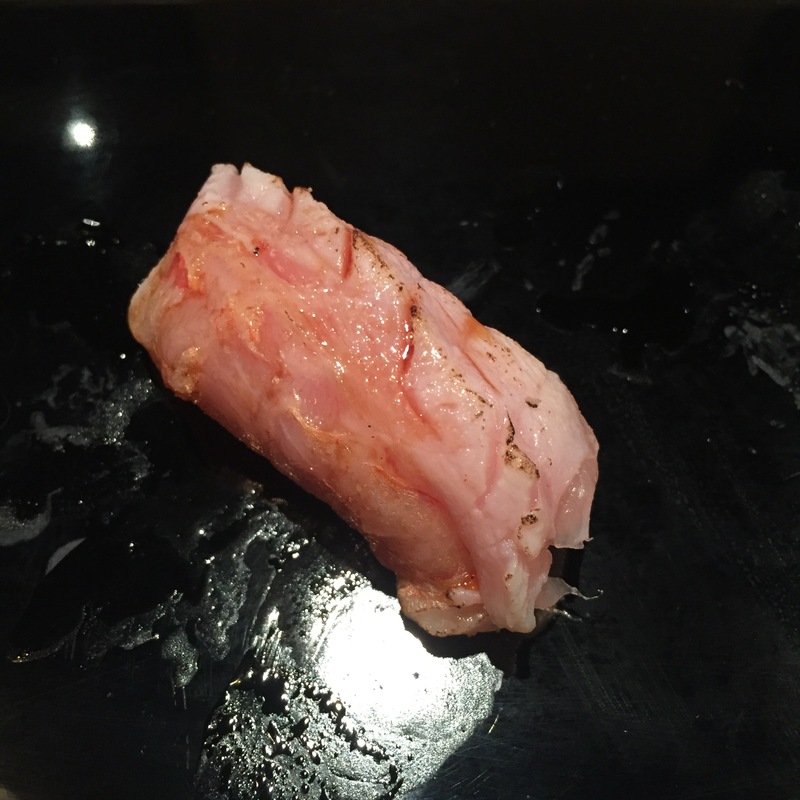 KINMEDAI belly loin – Another unexpected serving! 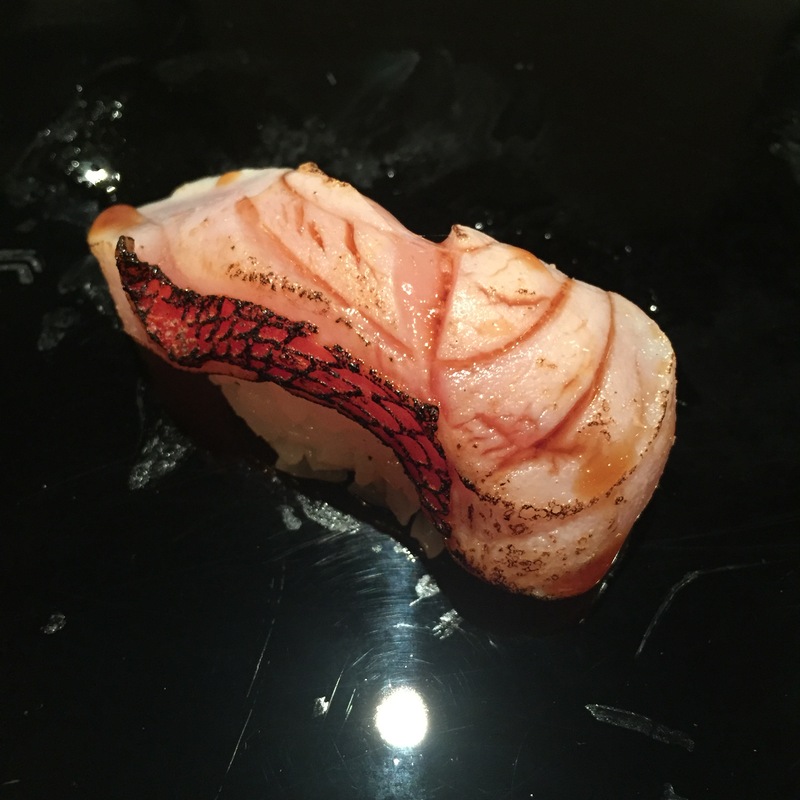 I’ve always been served the KINMEDAI with some skin, never once the belly loin. 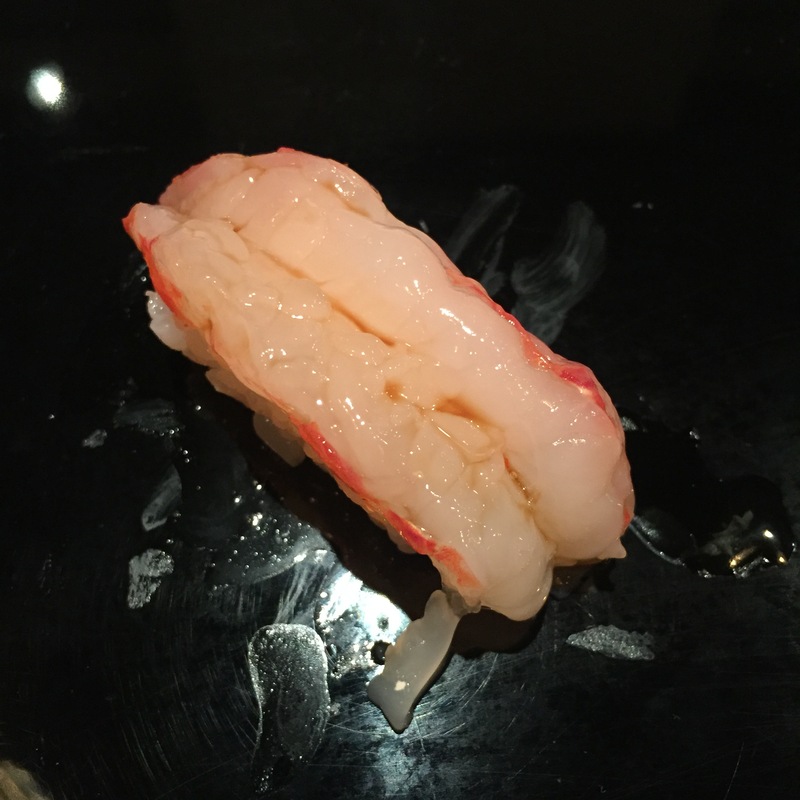 This cut brought along an incredibly great natural oil, but still that splendid KINMEDAI tenderness. Lovely! 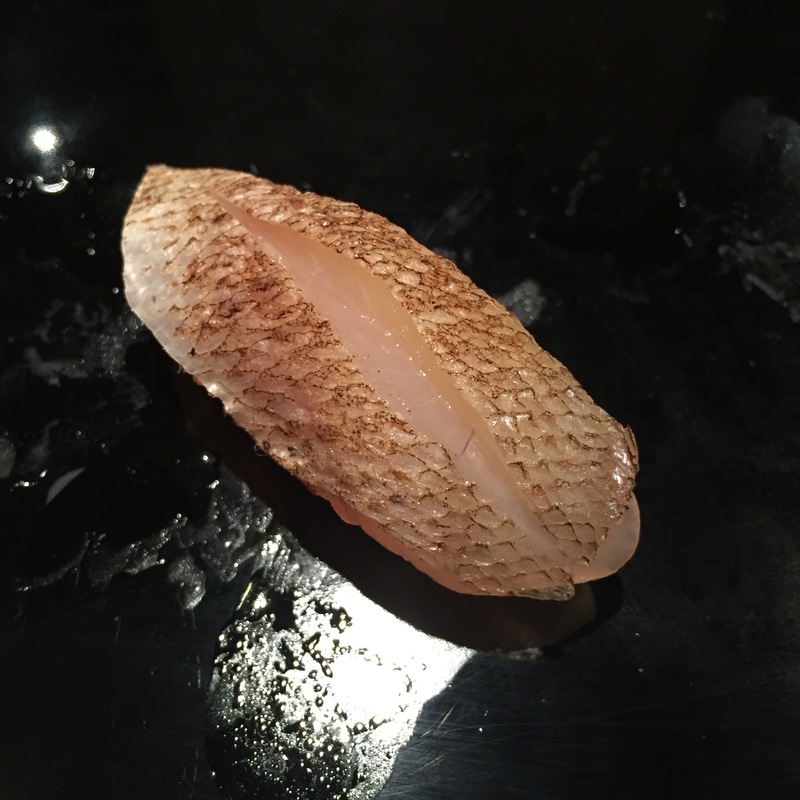 KASUODAI (Baby sea bream) – One of my favorite whites, horribly butchered. Looked very pretty, but absolutely zero flavor. None what so ever. 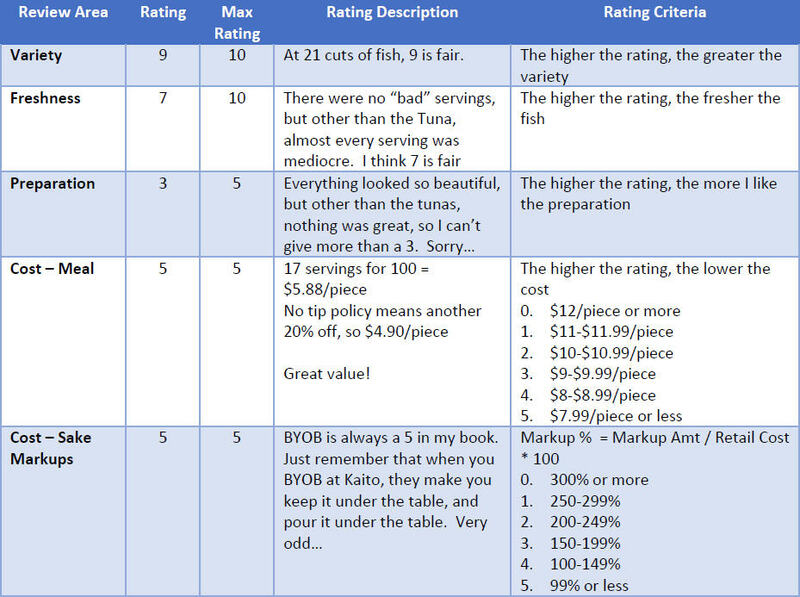 Barring the funky host, barring the idea of fake BYOB, barring that besides the tuna, almost every other serving was mediocre, at $100 for 16 pieces of fish AND a hand-roll, averaging to $5.88 this was already a great deal. Adding that they do not accept tip, new average comes to roughly $4.9 per piece (assuming 20%). KAITO is therefore a GREAT “deal”. Come for a great deal, come for a very decent variety, do not come for exception fish.